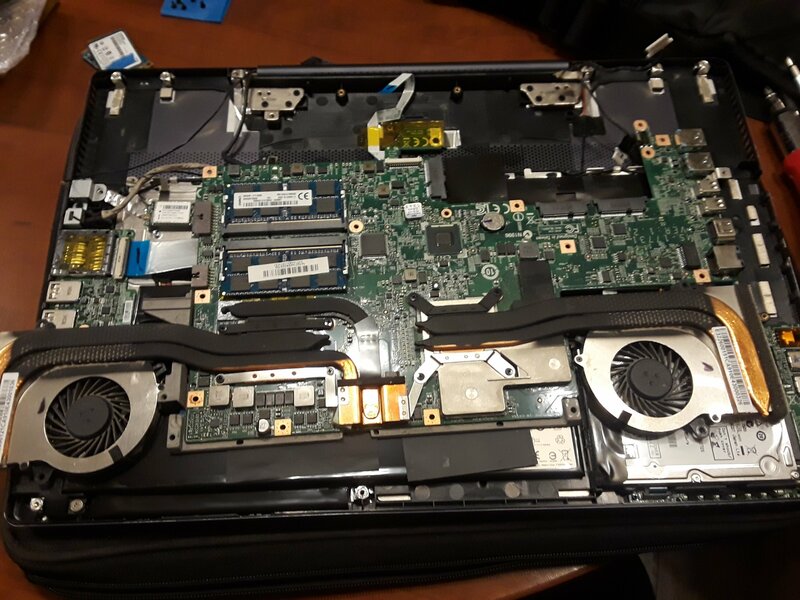 From inside an MSI gaming laptop…. Of all the laptops I’ve worked on (and usually had a powerful sense of dread over doing so with) this one’s remarkably not awful at all. It just has a Lot ‘O’ Stuff under the hood. Everything’s modular and easily replaced if needed. The wireless radio is off the board to the left, it has space for two SSDs (they’re either JBOD or striped?) and a big mama subchassis that holds the heat pipes in place for cooling. 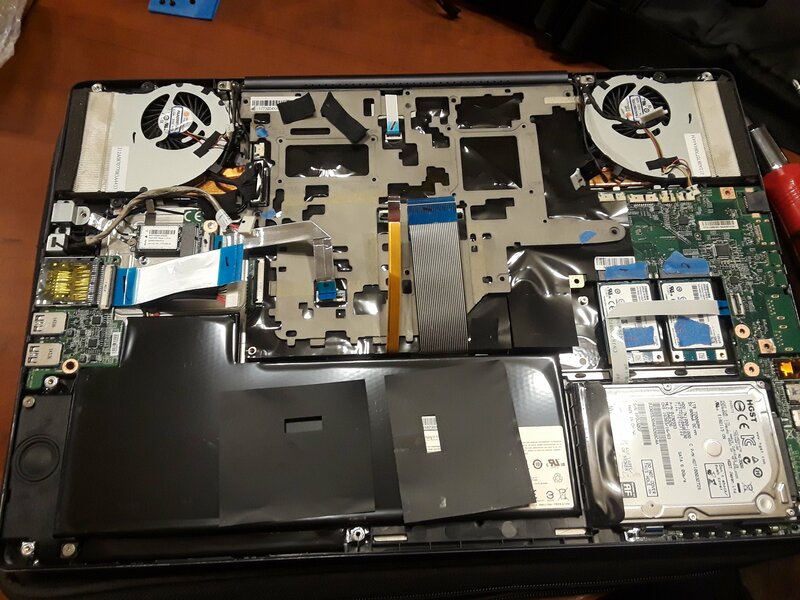 My only complaints I guess would be that access to the RAM and the screws for the cooling fans requires removing the whole motherboard and flipping it over. The bottom cover has a TON of screws (like 20 or so), but I’m guessing this was done more for stability— the thing feels like one solid piece of metal when it’s assembled. The battery is in no way glued or even taped in place. Once you remove the bottom cover you can unplug it from the motherboard and lift it right out. Only tools needed– a spudger (for gently lifting the MHF / U.FL connectors on the wifi antennas), PH0 and PH1 screwdrivers. That’s it— seriously!! I’m not a gamer but I kinda already want one. I’ve used MSI motherboards in a few computers over the years and have never had any problems with them – they’ve only ever been removed from service due to eventual hopeless obsolescence. 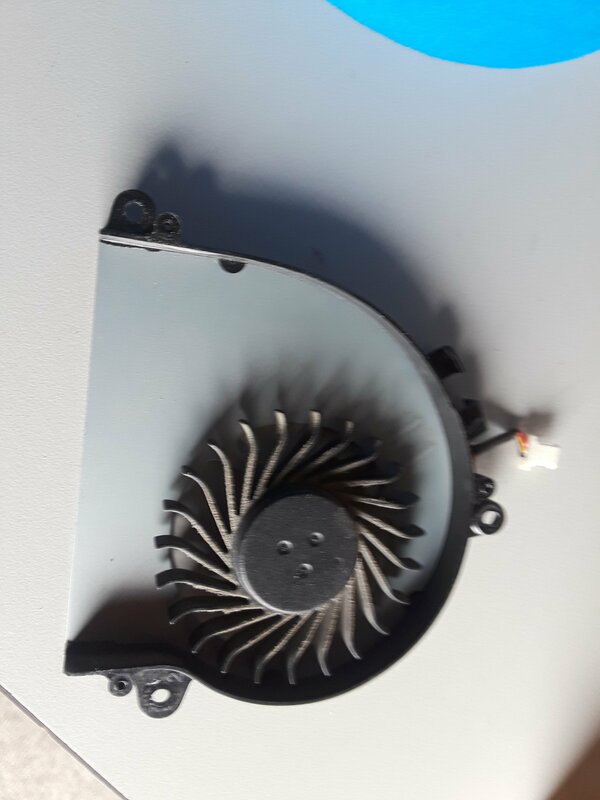 The reason we had to dive into this one was that the GPU cooling fan bearing had gone bad and it was starting to sound like some kind of moaning banshee.